The Concussion Care Fund will help young athletes and their families understand how to play safer and smarter sports. The mission of the Childress Institute is to discover and share the best ways to prevent and treat severe injury in children. 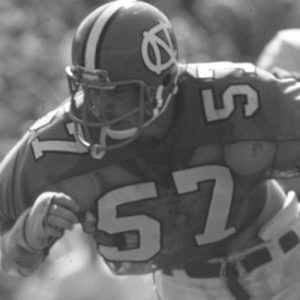 We are all regularly bombarded with news about head injuries in sports. A concussion, or a mild traumatic brain injury (mTBI), is something that can impact a child in many ways: while they are playing on the playground, slipping and falling down steps, or playing organized sports. It can happen at any age, but particular injuries may be common for certain age groups. 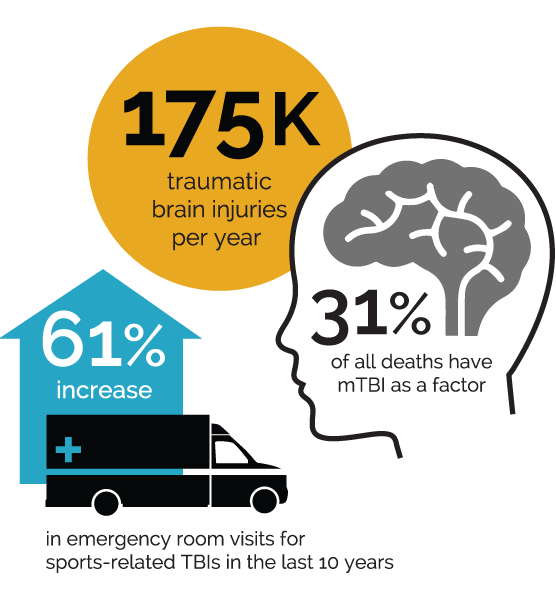 One of our core focus areas is the issue of mild traumatic brain injury in recreation and sports. 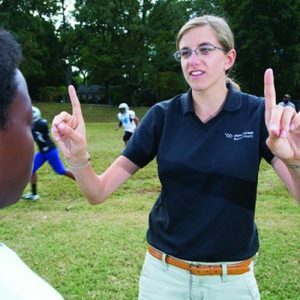 We support the work of the Wake Forest Baptist Medical Center biomedical engineering team led by Dr. Joel Stitzel as they study youth football. This study, known as iTAKL, is scheduled to continue through 2019 thanks to substantial funding by the NIH. The study is dedicated to understanding not only the impact of concussive injury, but also non-concussive injury in football. Meaning, what happens to the child’s brain development if they are playing football from age 8 to 15 and they sustain a number of hits to the head that might not have concussive force? What’s happening to the development of their brain, both the physical development and synaptic or electrical development of the brain? 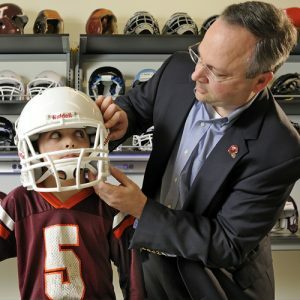 Now we hope to partner with Dr. Stitzel’s team to study head impacts in other helmeted sports that need research, including lacrosse (the fastest growing sport in the country) and hockey. You may have seen that retired NHL players are now suffering the same type of injuries as the retired NFL players. We also hope to study other non-helmeted sports, such as soccer, field hockey and girl’s lacrosse, which is still not helmeted right now. 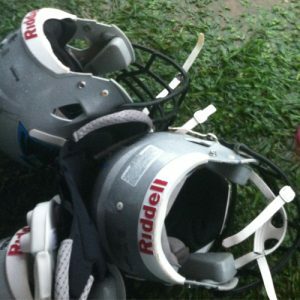 There are many opportunities to study these youth sports and try to reduce the impacts and head injuries. 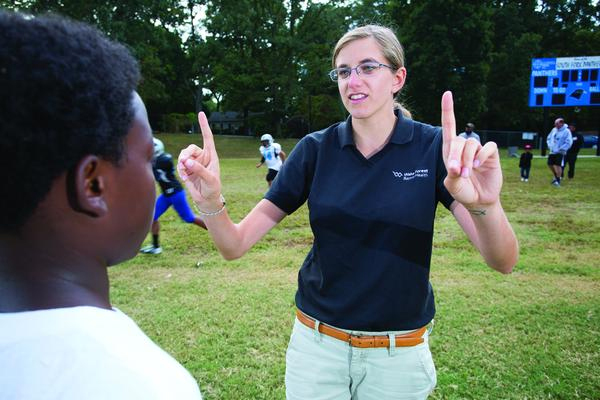 The Concussion Care Fund will help us financially support the research that we’re working on with Wake Forest and our Four Corners Consortium team members, as it relates to studying youth sports across America. We also want to continue with our local and regional educational programs. 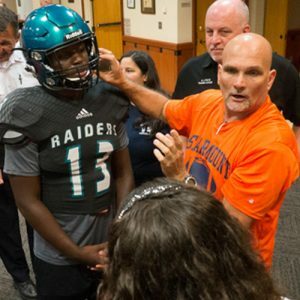 Continued support could help us fund education programs for athletic trainers, coaches, parents and players to inform them about the importance of identifying, reporting and treating concussions. The Concussion Care Fund will help us fund truly groundbreaking research, as well as vital concussion education programs, tools and treatment. 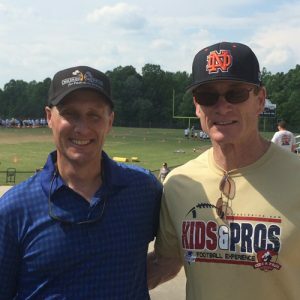 With your help, we can help young athletes and their families understand how to play safer and smarter sports.